Some other interesting roster notes include Danny Bethea joining the team as a pitcher after spending five years in the organization as a catcher, Kyri Washington being named to the starting roster as he begins his rehab assignment with the Spinners on Friday, and Garrett Benge rejoining the squad after being named a 2017 New York-Penn League All-Star. There are some new faces joining the system in addition to the 2018 draft picks. 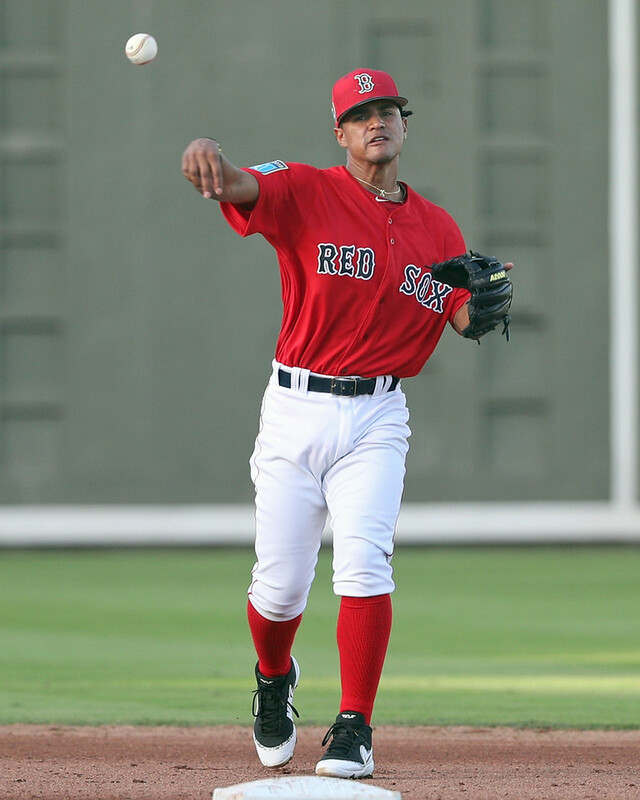 The Red Sox received Eric Filia from Seattle as the player to be named later in the Roenis Elias trade. MLBPipeline.com slated Filia in as the 24th-ranked prospect in the system. Filia was suspended for the first 50 games this season following his second positive test for a drug of abuse, but the 25-year-old has come out hot in Double-A, batting .426/.508/.537 over his first 54 at-bats. The Red Sox also purchased the contract of Johnny Bladel from Southern Maryland of the Atlantic League and assigned him to Portland. The 27-year-old was never drafted and has only played in the independent leagues up to this point after attending James Madison University. In 2017 he led the Can-Am League in hitting with a .345 average, and this season in the Atlantic League he was batting .341 while playing second base and rotating through all three outfield positions. Though the team has struggled since the end of April, Salem has had a handful of players who have consistently performed throughout the year. Five of them were named to the Carolina League All-Star Roster earlier this week with Santiago Espinal (pictured, right), Daniel Gonzalez, Matthew Gorst, Roldani Baldwin, and Jerry Downs all slated to represent the team in Zebulon, North Carolina on June 19. 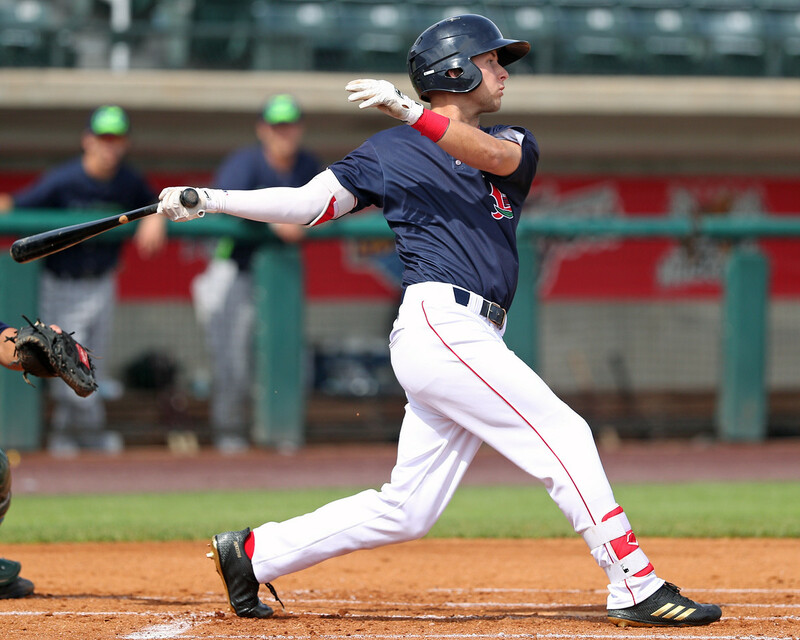 With Mookie Betts being activated earlier in the week, Sam Travis was sent down to Pawtucket. Travis went 2 for 12 over four games with Boston. Jordan Betts was sent from Pawtucket to Portland to make room for Travis, and Portland sent Tanner Nishioka to Greenville. Salem was also busy with roster moves this week as they added Enmanuel De Jesus from Greenville while sending down Jhonathan Diaz. This is the fifth year in the system for De Jesus and he is getting his first taste of the Carolina League, while Diaz received a spot start in Salem and is now back with the Drive. Roniel Raudes was placed on the disabled list with an undisclosed injury, and Joan Martinez was activated from the disabled list. Raudes did leave his last start after only four innings and 54 pitches, but there was no word on what led to that. Martinez had not pitched since May 10 and he was struggling badly when he went on the disabled list, and in his first game back he allowed three runs while only recording one out. In Greenville, the Drive placed Alex Scherff on the disabled list and replaced him with Hunter Haworth on the active roster. Scherff has struggled to a 6.13 ERA over 47 innings. They also added Samuel Miranda from Lowell and placed Jagger Rusconi and Charlie Madden on the DL.